Our veterinary team in Toronto welcomes you and your pet! 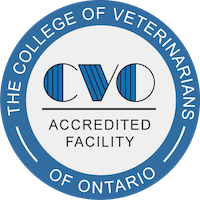 Here at Bathurst Animal Hospital, we always welcome new clients and patients to our full service veterinary practice in Toronto. or simply schedule an appointment. If you’re ready to become a new client, we welcome you to fill our our online new client form before you come in for your first appointment.